NOW, THEREFORE, be it resolved that I Bill Peake, Mayor of the City of Pacific Grove, proclaim April 7-13, 2019 National Library Week in Pacific Grove. I encourage all residents of our City to visit their library this week, explore what is new there, and engage with your librarians. Read the Friends' Winter 2019 Newsletter here. The Friends invite the community to “Lend a Hand/Lend a Paw” to the Library Renewal Campaign. With a $25 donation (per hand or paw cutout) the name of your favorite person (two or four-legged), family, or business will be displayed behind the Checkout Desk in the Library until September. Donations can be made at the Library by cash, credit card or check made out to the Friends of Pacific Grove Library. 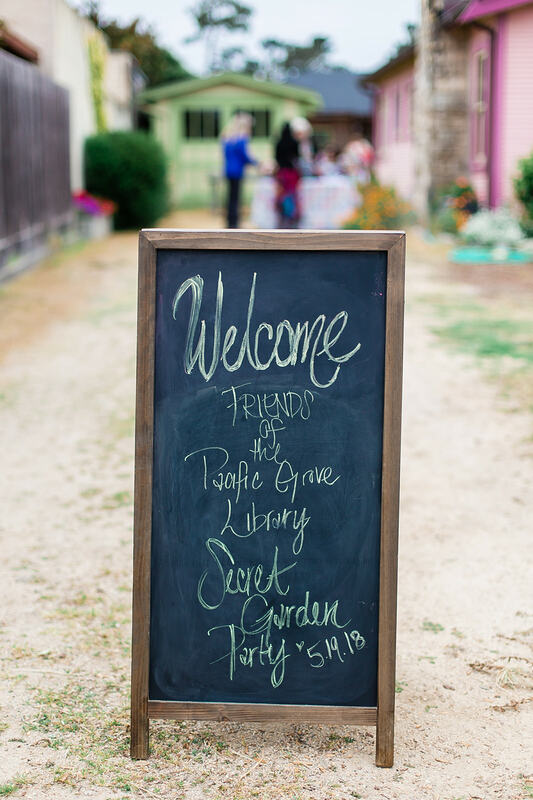 The May 19th Secret Garden fundraiser for the Pacific Grove Public Library Renewal Project was enjoyed by over 50 people, and raised almost $4,000. 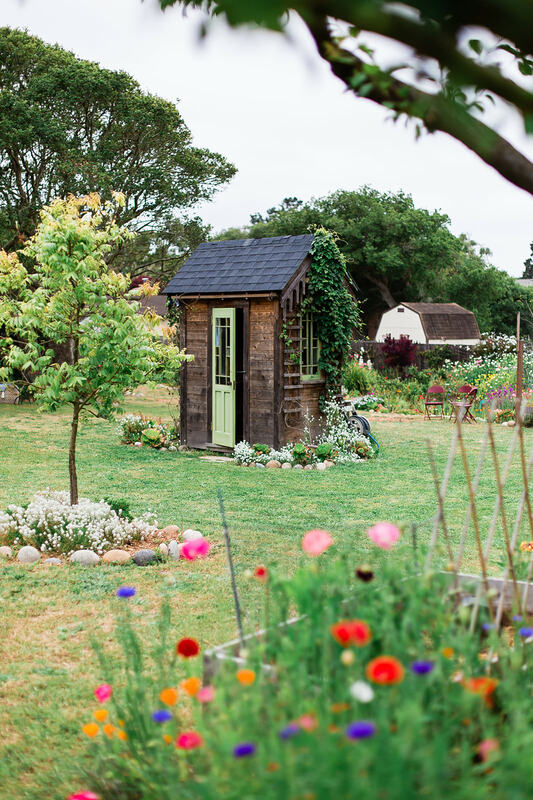 Many thanks to Ken and Margaret for the beauty of “The Orchard”, Weekend Plans Event Co. for the rustic chic decor and refreshments, Fionna Floral for the lovely arrangements, Monterey Bay Master Gardeners, Denise and her hammered dulcimer, and especially Kelley Williams for the photographic memories. 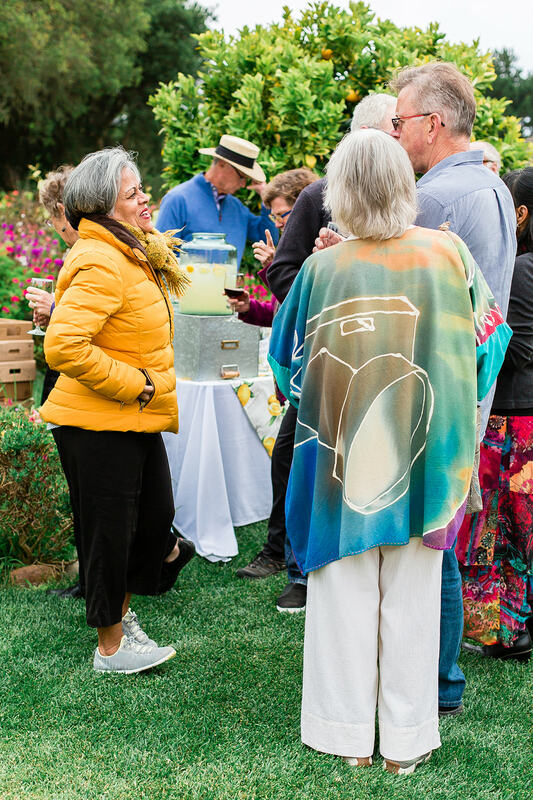 Built for Books, a four-month celebration of libraries, learning and philanthropy, honoring the 110th anniversary of the founding of the Pacific Grove Public Library in 1908, opens with a juried art exhibit and reception on Friday, April 6, 2018, at the Pacific Grove Public Library. Special events throughout April, May, June and July include monthly architecture walks and talks at Asilomar State Beach and Conference Grounds, a community poetry creation event with noted poet and Herald columnist Patrice Vecchione, a lecture by Asilomar historian Aubrie Morlet and a birthday celebration for all ages at Jewell Park on the date of the Library’s grand opening in May. “Books are our best, our wisest and most faithful companions. They instruct, they entertain and console us…they are the bridges that span the centuries” proclaimed Horace Platt at the dedication ceremony to begin construction of the Pacific Grove Public Library. The citizens of Pacific Grove have greatly benefitted from philanthropy, in legacies lasting more than a century, contributed by Andrew Carnegie to found a free public library and Phoebe Hearst to found Asilomar, and supported by many citizen donors and volunteers over the years. A Pacific Grove Library Renewal Project is underway, with contributions from a public-private partnership being raised to renew, renovate and restore the historic Carnegie library. A recent partnership at Asilomar has restored historic features and the return of the original Julia Morgan outdoor deck design to the Phoebe Hearst Social Hall. Series sponsors are the Pacific Grove Public Library, the Friends of the Pacific Grove Public Library, the Pacific Grove Public Library Foundation, California State Parks and the Asilomar State Beach and Conference Grounds. Juried art work provides multi-dimensional, unique visions of creativity inspired by books and words. Free, opening reception for juried art show. Refreshments and Award Ceremony. Free. Meet at the flagpole. One of three monthly tours focused on the lasting legacy of learning and architecture at Asilomar State Beach and Conference Grounds. Celebrate National Poetry month before it’s gone with poet, nonfiction author and teacher Patrice Vecchione. 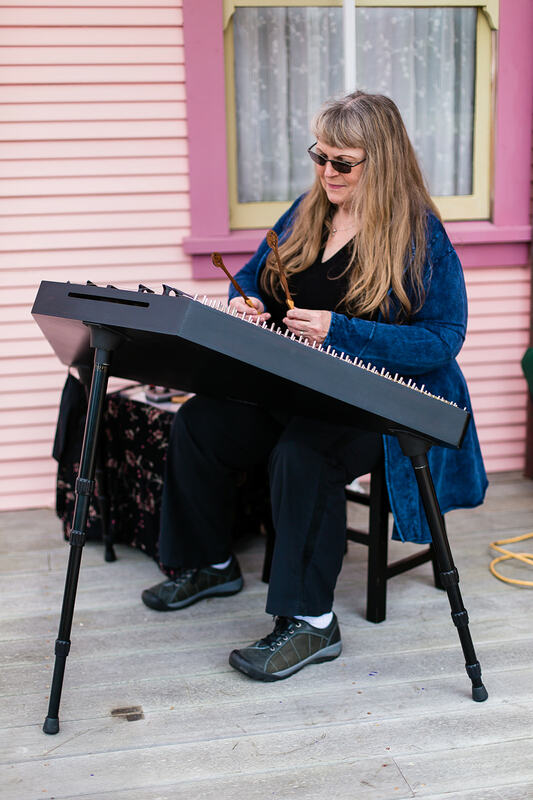 Patrice will perform a selection of poems from around the world and chat about the value of poetry in our lives. You’ll leave the evening with poems to carry you through your joys and challenges. And you, too, can be a poet! Patrice will lead the group in the writing of a group poem to celebrate the library. Celebrate the 110th anniversary of the Pacific Grove Public Library with birthday cake and lemonade, art projects and fun events for all ages. Meet Architect Karin Payson, of Karin Payson architecture + design, who is overseeing the Library Renewal Project. Tour the Library and hear about plans for the renewal of the historic Carnegie rotunda, renovation of public spaces and restrooms to ensure ADA compliance, improve accessibility and usability. Free to Friends of the Pacific Grove Library members/$10 charge to non-member. Learn about Asilomar's history of architecture and philanthropy from Asilomar’s historian and resource manager. Free, closing reception for juried art show. Refreshments and music. On the rainy night of Thursday, November 16, an overflow crowd assembled in the Pacific Grove Library to hear Steve Hauk talk about his new book, Steinbeck, the Untold Stories. Scott Bauer, Library Director, welcomed the attendees with words of appreciation for the Friends of the Library, the event’s sponsors. In her introduction of Steve, Barbara Moore, Chair of the Meet the Author Committee, expressed wonder at the breadth of his achievements – fine art gallery owner, journalist, and writer of film scripts and plays. When the National Steinbeck Center in Salinas was being dedicated, Steve’s art gallery mounted an exhibition of art related to the California settings of Steinbeck’s stories and novels. The exhibition was such a popular and critical success that Steve became permanently associated with Steinbeck and Steinbeck’s life story. He and his late wife, Nancy, began receiving documents and artifacts related to Steinbeck, sometimes anonymously, and he was told many stories about Steinbeck, his family and associates, and the real-life counterparts of the characters in Steinbeck’s writings. The title of Untold Stories is, thus, a literal description of its contents. Steve’s account of the history of the material in his book was accompanied by digital projection of some of the documents he had been given. A number related to the purchase and shipment of guns by Steinbeck, who had received threats on his life and believed he needed a gun for personal protection. Other images showed the settings for the stories and C. Kline’s evocative illustrations in the book. During the refreshment and sales period that followed, Steve graciously wrote personal dedications in his book for purchasers. Laura Kleiss, the daughter of Dusty Kleiss, was thrilled to introduce the authors of Never Call me a Hero, Timothy and Laura Orr, because it gave her a chance to honor her father, Dusty Kleiss, the subject of the Orr's book. The discussion focused on the special character of research on military history. Attendees had another chance to eat some of the cake celebrating the publication of 'Life in Pacific Grove'. Monterey Herald, August 9, 2017, article by Carly Mayberry. "Pacific Grove Gears Up for $1 Million Library Renewal With New Director Hiring"
Beginning in 2008, a small group of volunteers, under the auspices of the Friends, began what is now called the “First Saturday Book Sale”. This event, with rare exception, is held the first Saturday of each month from 10am until 4pm in the arcade at the front of the library. Starting in April 2016, the Friends board begins active management of the Book Sale. Sale books are almost exclusively donations made by library patrons. Book donations are made to the library throughout the month and processed by volunteers for resale. This includes evaluating the books, cleaning the books, and sorting them into various general categories (history/biography, cooking, etc.) The library also receives donations of music CDs, DVDs, and audio books. The book sale has raised over $55,000 for the library book fund. We hope to be able to increase the amount raised annually. Donations often include old and rare books, sets of books, special production art books, specially bound volumes, and many other unusual books that are evaluated and specially priced. If you would like to donate books, you may make your donation at the circulation desk at the front of the library. Donated books need to be resalable (very dirty, discolored, mildewed, damaged or detached covers, old text books, old computer books, etc. are not suitable for resale). Please don’t donate books that you wouldn’t consider buying yourself. We have a limited number of giclee prints of a few of Nancy Hauk's paintings. 100% of the proceeds from the sale of these prints sold at the library will go to the library's restoration fund. You can purchase these from the library, while supplies last. Shown here is one of six prints available at the library. Give a beautiful gift and help the library at the same time!